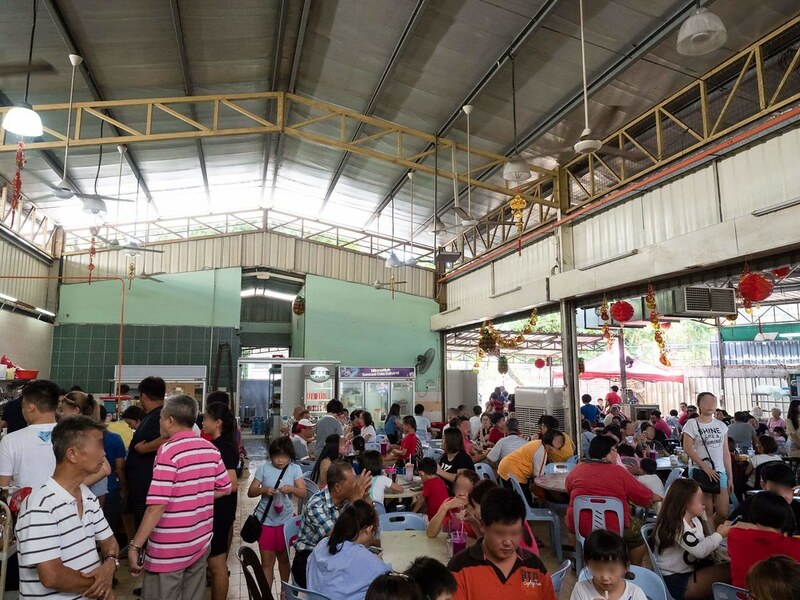 Dai Shu Geok (Big Tree Foot) is a popular food spot for its Yong Tau Foo at Ipoh, Perak. 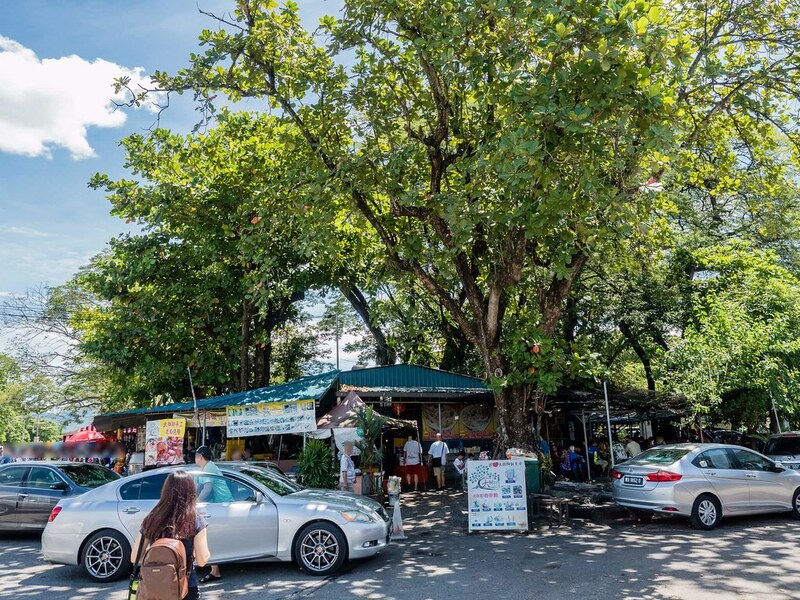 We came here for our lunch after admiring the cave temple at Kek Look Tong Cave Temple [极乐洞]. The name means Big (Dai) Tree (Shu) Foot (Geok) in Cantonese. There are many big tress in the area. At first I thought this place only sell Yong Tau Foo but actually it has many other food stalls as well. Reads on to find out more about our experience here. 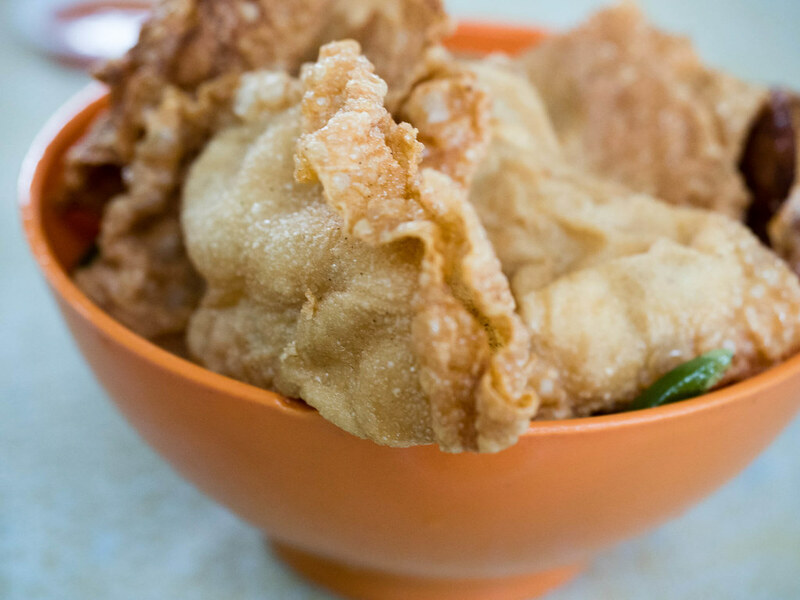 Our order of fried Yong Tau Foo. 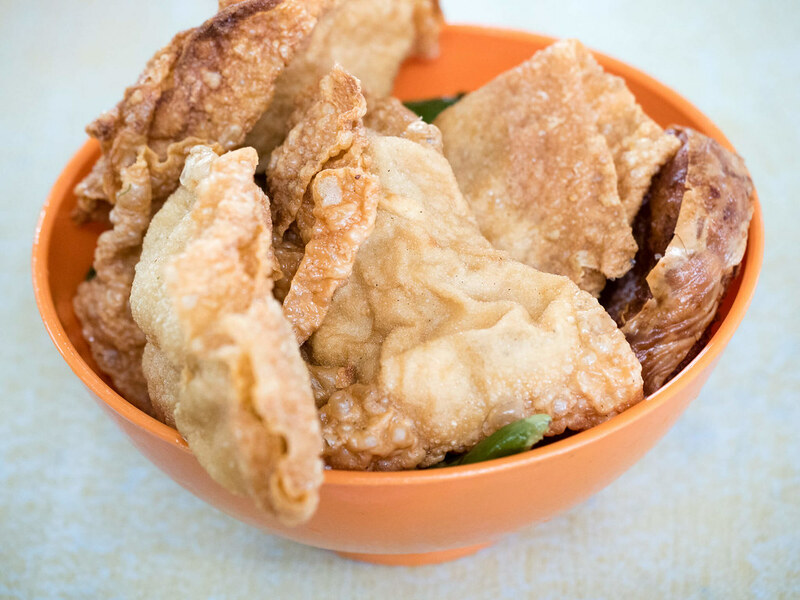 Got fried Fu Chuk (bean curd sheet) and Fried Sui Kow (Dumpling). Very delicious Yong Tau Foo, definitely a most order if you came to Dai Shu Geok (Big Tree Foot), Ipoh. 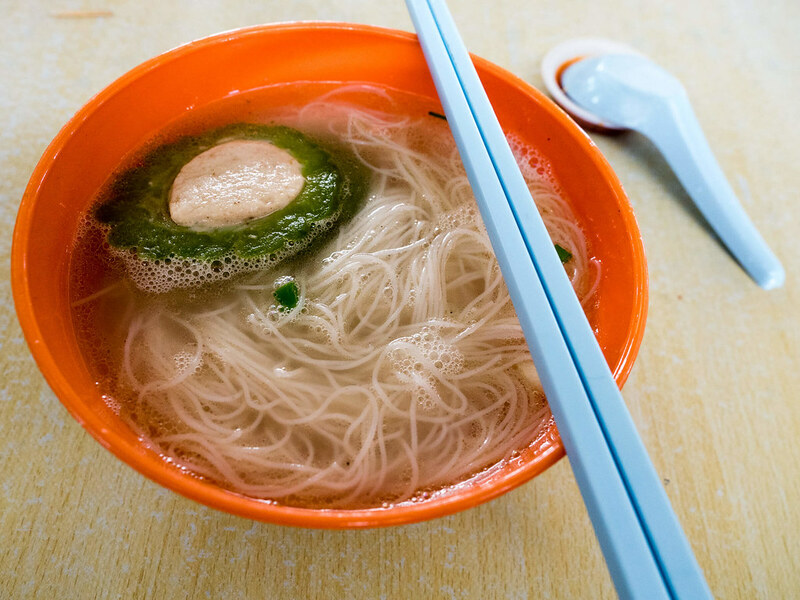 I also ordered a bowl of mihun soup and a piece of bitter gourd Yong Tau Foo. A simple but satisfying lunch. We also bought this King of Wings at one of the stall at Dai Shu Geok (Big Tree Foot), Ipoh. The chicken wings are marinated and fried with special sauce. For the drink, I ordered this glass of mixed fruit juice. 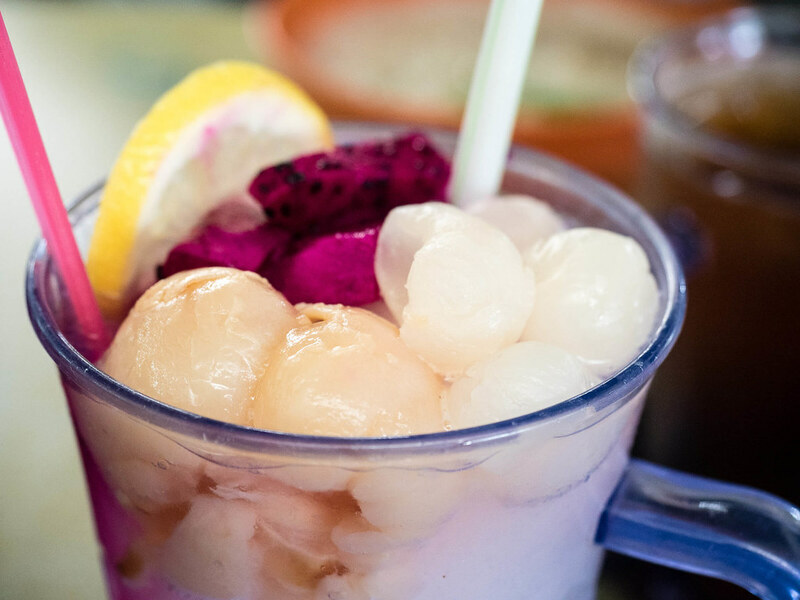 Inside this drink got lychee, longan, lemon and dragon fruit. I saw many people ordering this drink here at Dai Shu Geok (Big Tree Foot). 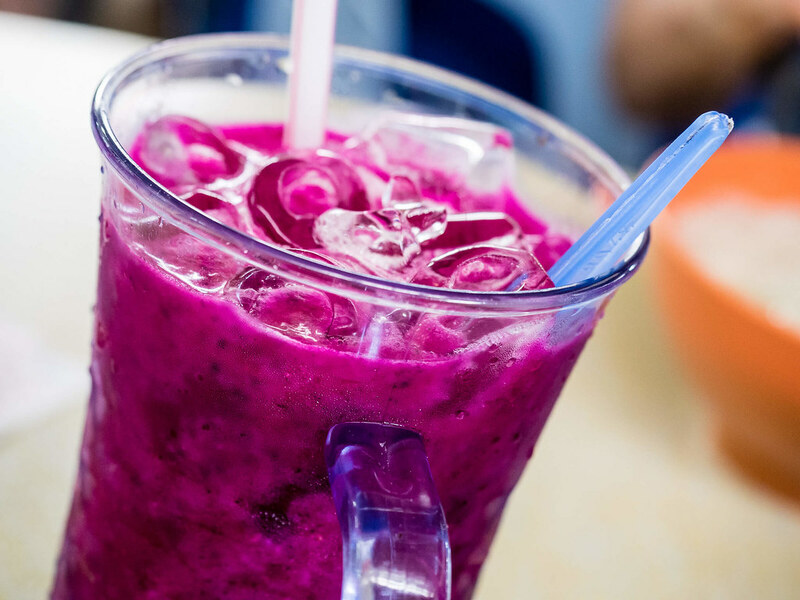 Another popular drink here is the ice blended dragon fruit juice. Very refreshing and yummy. The food stall where we ordered the Yong Tau Foo. 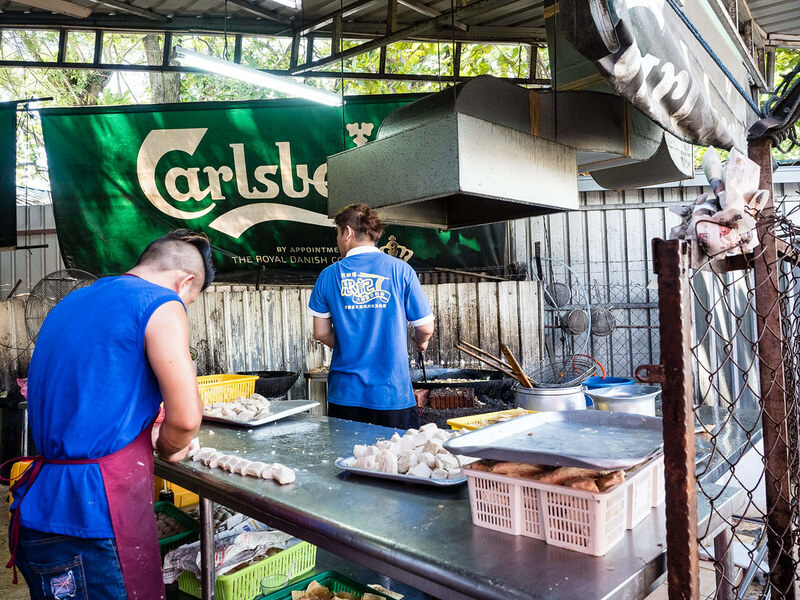 The Yong Tau Foo are prepared and cooked on the spot. 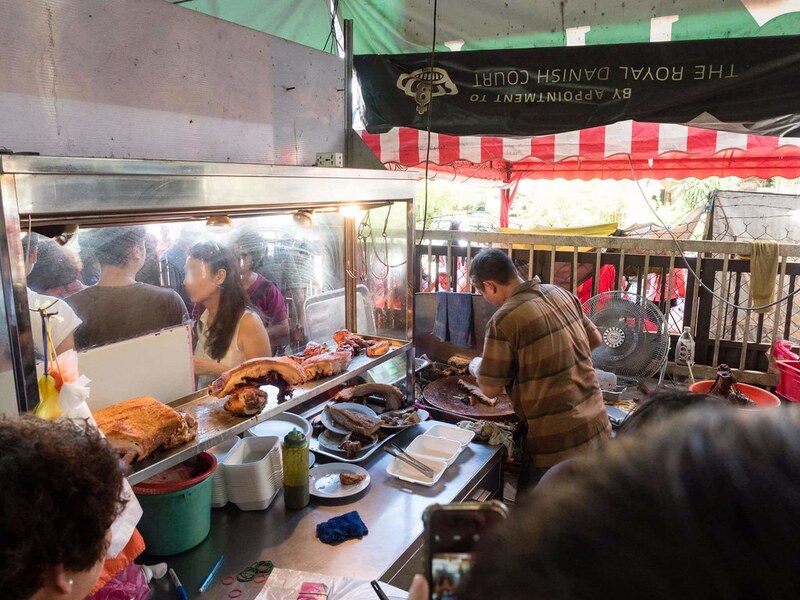 The roasted pork (xiu yok) stall. This stall sells roasted pork only and the queue to buy is super long. So, we didn’t get to taste the roasted pork as we were too lazy to queue. 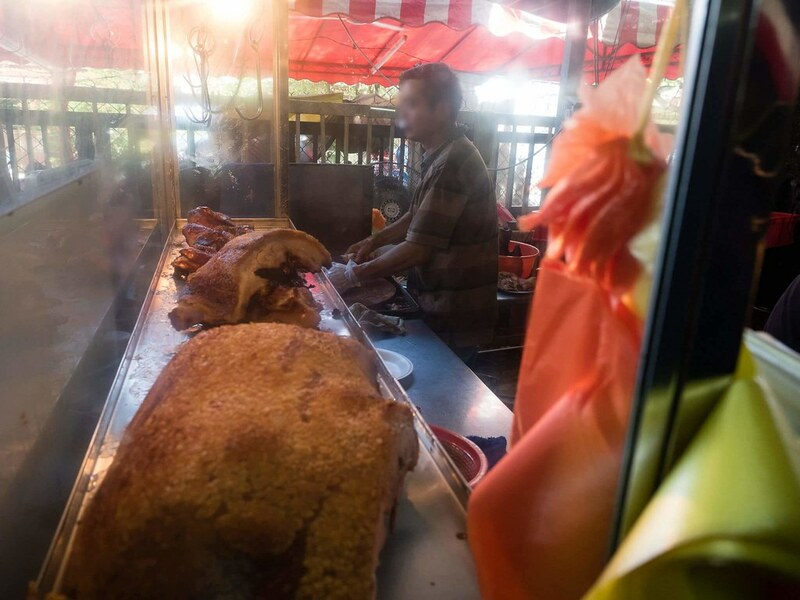 Another photo of the roasted pork stall at Dai Shu Geok (Big Tree Foot), Ipoh. The roasted pork looks yummy. Perhaps we can try on our next trip to Ipoh. 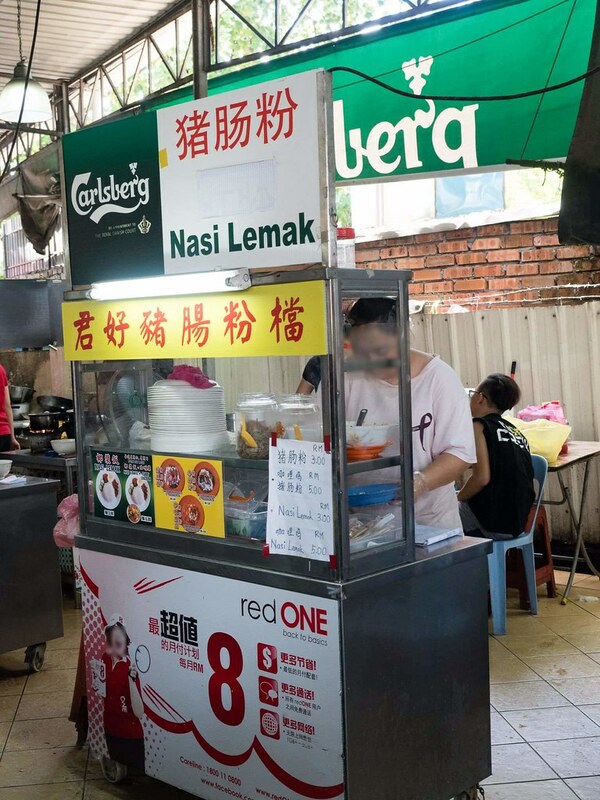 Nasi lemak, one of the popular Malaysian dishes is also available here. 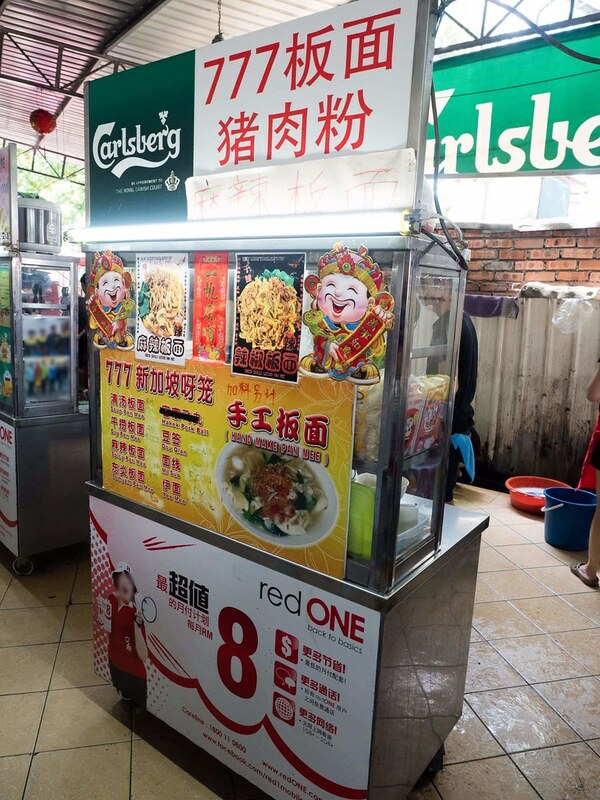 Handmade pan mee and pork noodle stall at Dai Shu Geok (Big Tree Foot), Ipoh. From the photo it looks yummy. 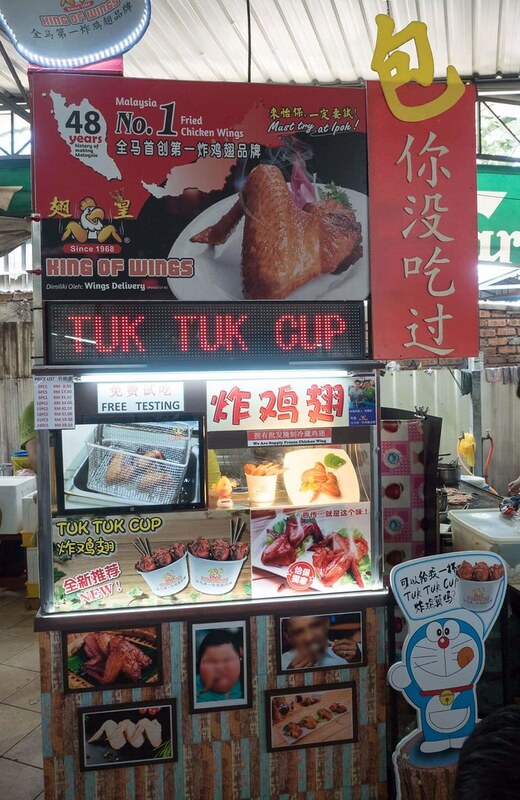 This Tuk Tuk Cup stall is where we bought our King of Wings chicken wing. 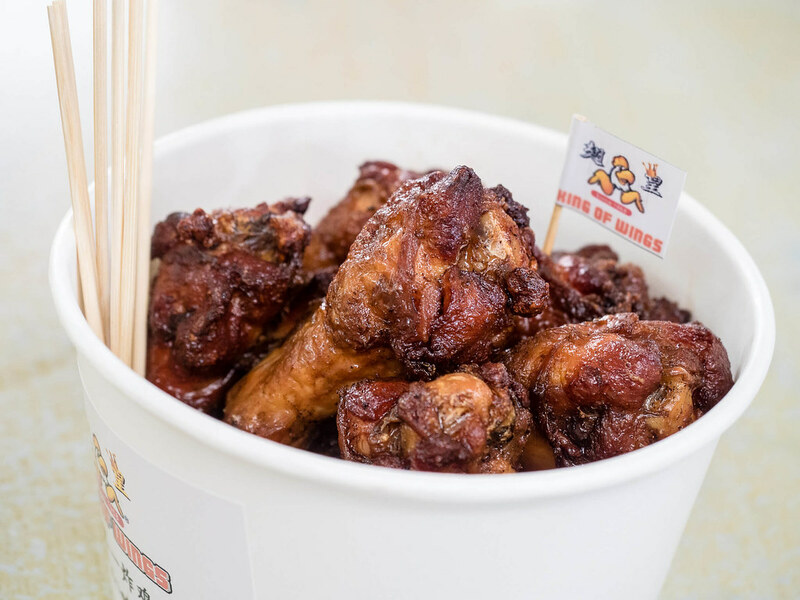 It is said to be Malaysia’s number one fried chicken wing. 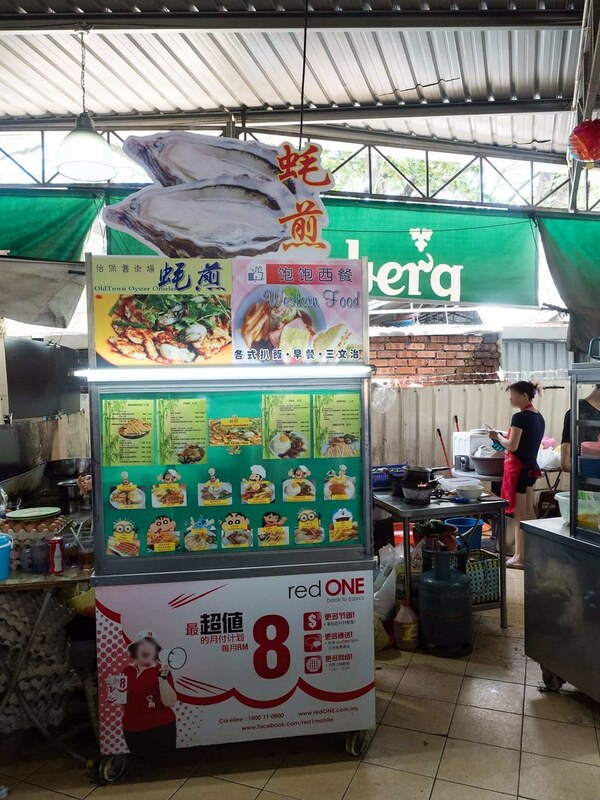 Like many other hawker food stall places, western food is also available. Besides western food, oyster omelette is also available. Wan Tan Noodle stall. 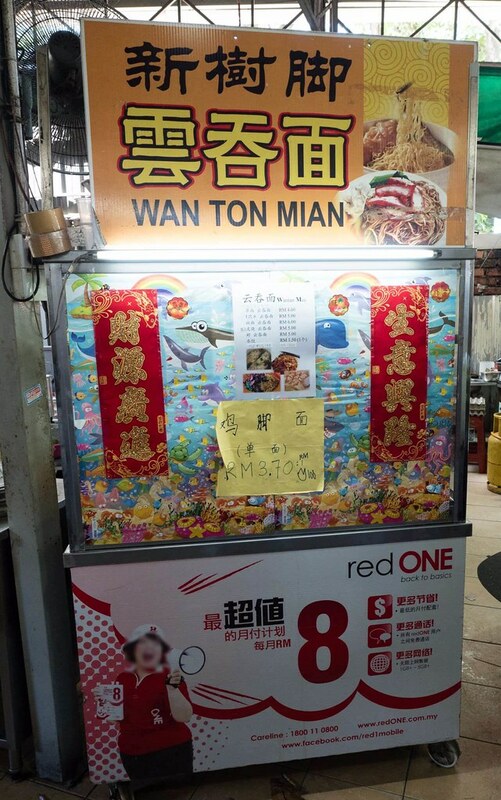 I wonder if the Wan Tan noodle at Ipoh tasted different with the one in Petaling Jaya. 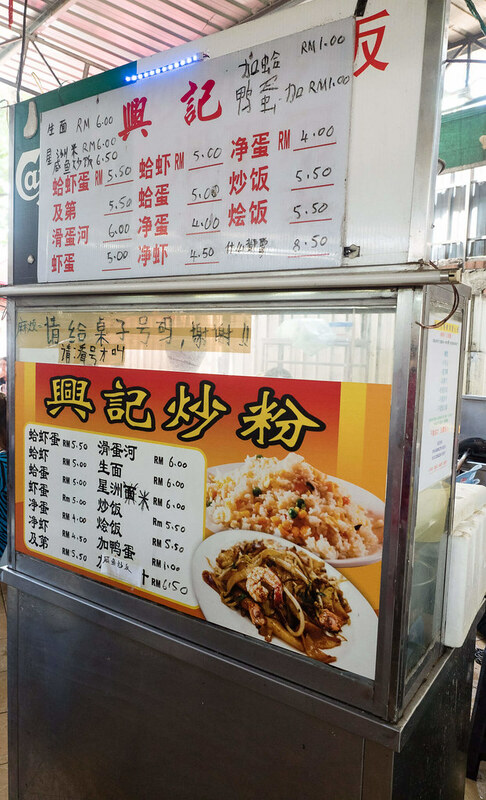 If you want to eat fried rice or fried noodle, this is the stall for you at Dai Shu Geok (Big Tree Foot), Ipoh. 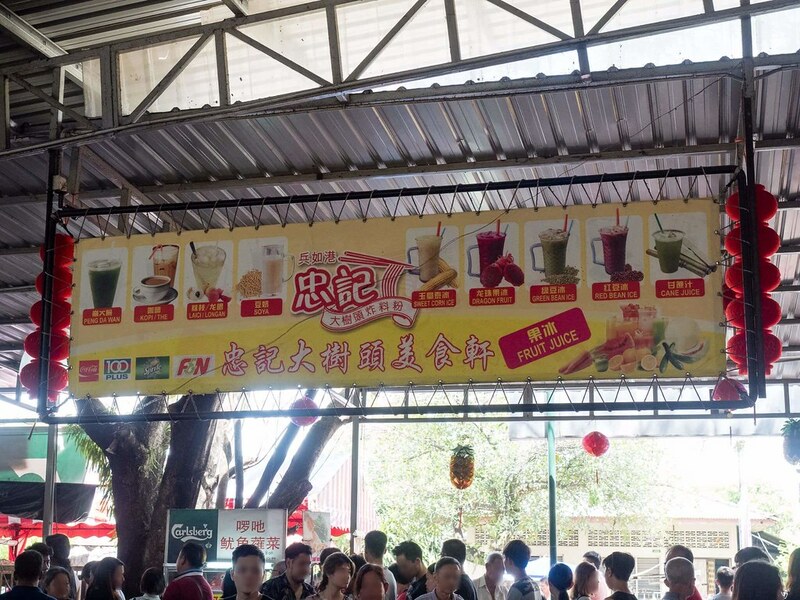 All the drink choices at Dai Shu Geok (Big Tree Foot), Ipoh. Besides the fruit juices, green bean ice and red bean ice is also available. So many customers here at Dai Shu Geok (Big Tree Foot), Ipoh during lunch time. We actually waited almost 30 minutes for a table. You must get a table first before ordering as they will ask you for your table’s number. 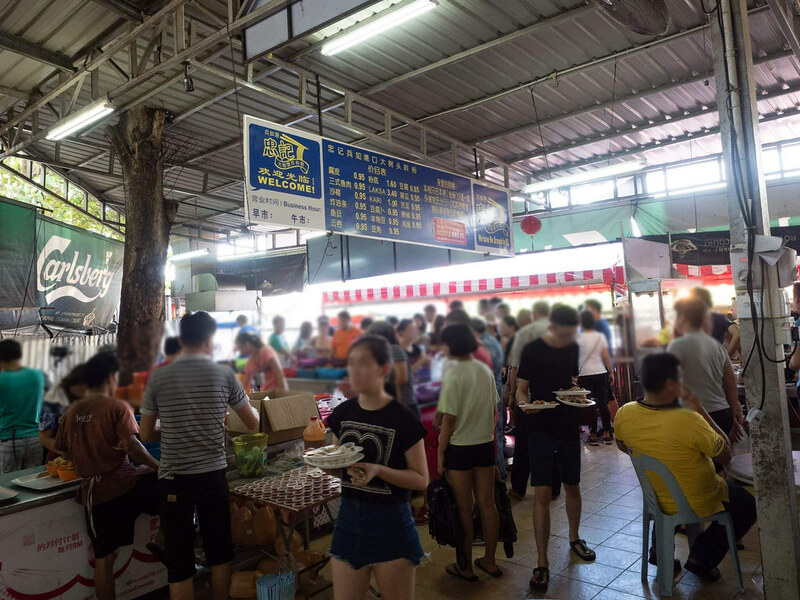 Another view of the busy eating place at Dai Shu Geok (Big Tree Foot), Ipoh. View of Dai Shu Geok (Big Tree Foot), Ipoh from outside. I guess that is the big tree the name is referring to. The food here is cheap and nice but very crowded during our visit. Anyway, crowded means delicious, right? Just remember to pack something to eat if you are hungry while waiting for a table here.